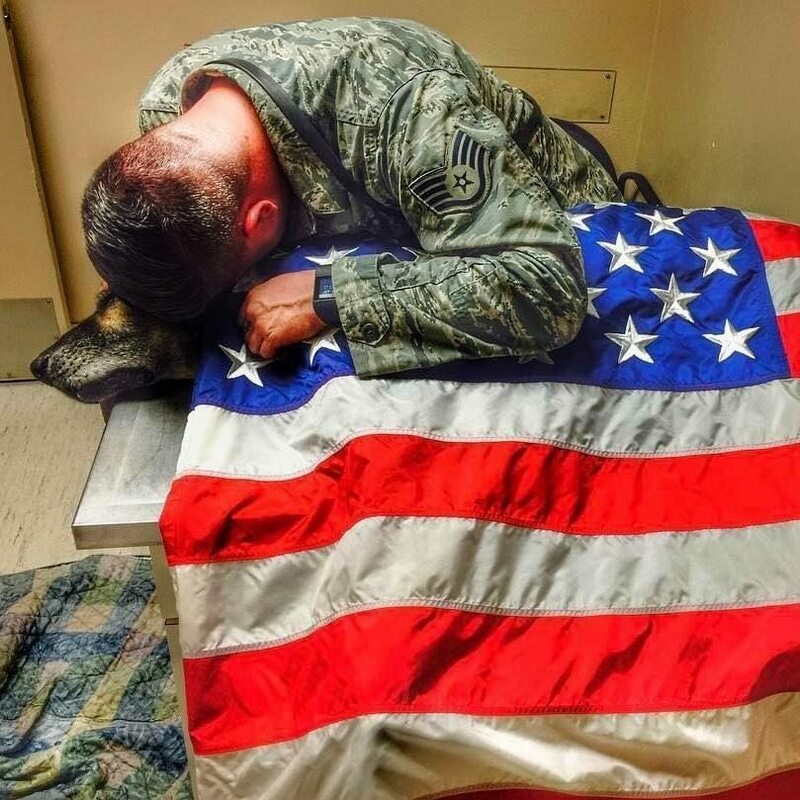 Bodza, an 11-year-old German Shepherd, lived a long, meaningful life and the soldiers with whom he worked with will never forget him. He was a bomb detection dog with the U.S. Air Force and worked with soldiers in Iraq, Kyrgyzstan, and Kuwait. The loyal dog risked his life countless times to keep American soldiers safe. And his tirelessly work will never be forgotten. In fact he got a hero’s goodbye when he finally succumbed to his illness! There was a particularly soldier Bozda had a special connection with. His name is Alex Smith. The two started to work together since 2012. And after a security mission in Kyrgyzstan they bonded strongly. “I loved working with him because he taught me a lot — patience as a young handler, and how to understand that this job isn’t just about you,” Smith told The Dodo. Smith took Bodza to a clinic in El Paso, Texas, where he currently works as a military dog handler. 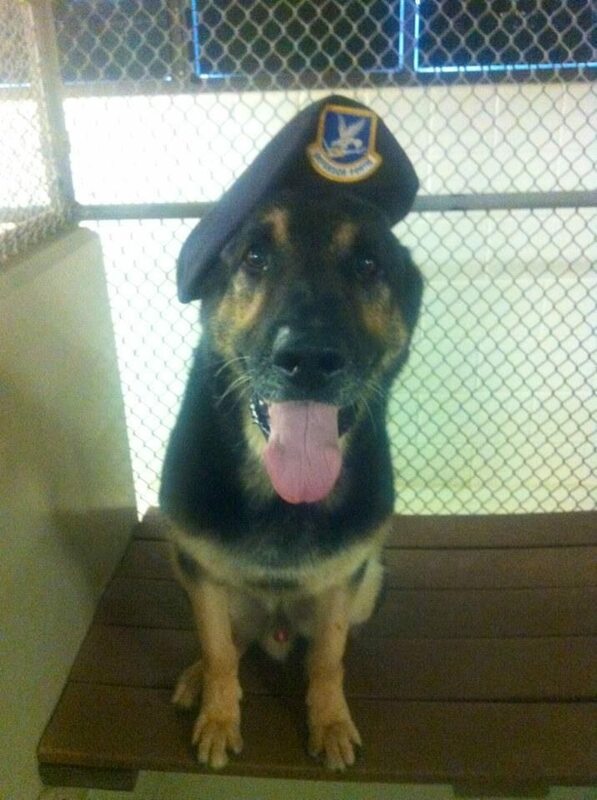 He was met there with other soldiers who had worked with the loyal K9. It was time to put Bodza down. “He had a smile on his face when he was getting put to sleep,” he added. All those present knew Bozda deserved a hero’s goodbye as he was. So they’ve decided to drape the dog’s body with an American Flag. 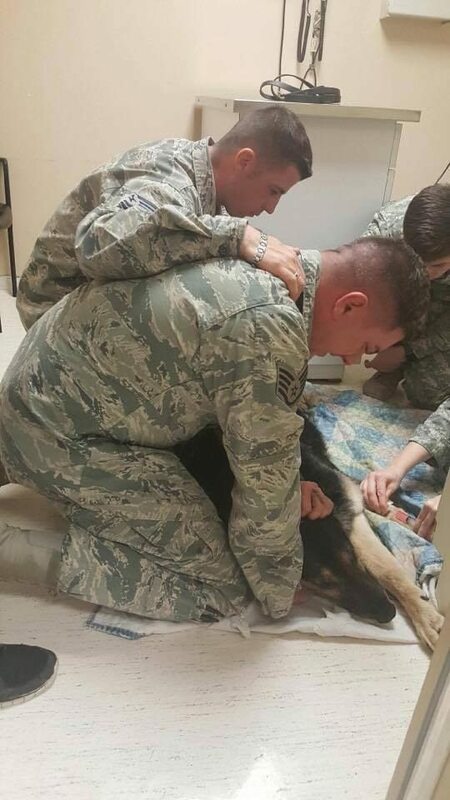 And the image of the soldiers saying goodbye to this cherished military dog immediately went viral. And for a good reason. The story of Bodzi is one that will touch the hearts of not only K9 handlers who have worked with dogs overseas but all animal lovers and true Americans everywhere. 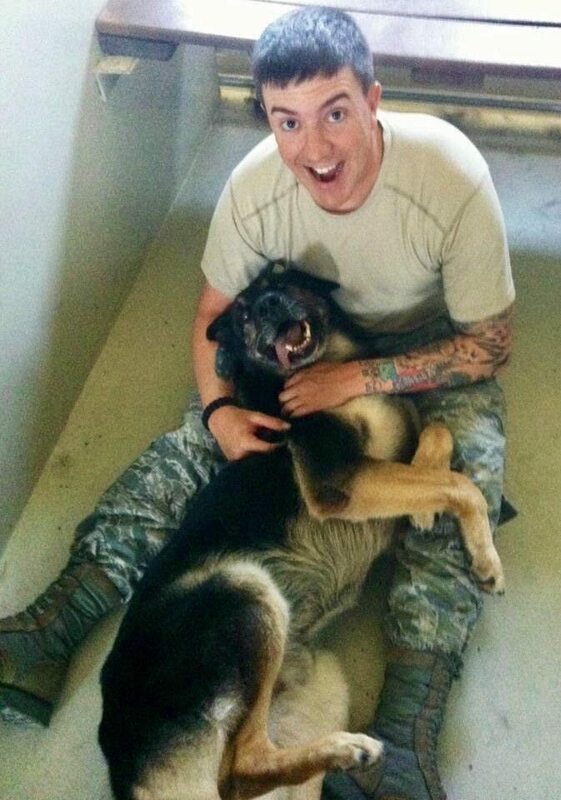 Watch the video bellow to see how special can be a bond between our veterans and their dogs!